Geoff has been with Determined to Develop since the beginning, starting with the project in 2010. Geoff has been an integral part of all projects from their inception. In the past year, Geoff has moved into a new role coordinating all external and community relations, from our surrounding villages and schools to government-level stakeholders. This means Geoff sits on the Parent Teacher Associations of our local schools, attends village meetings on issues affecting the community, and maintains partnerships with the Ministry of Social Welfare. Geoff also oversees the sponsorships of all youth under D2D programming. Geoff has a degree in Education, with a focus on Social and Development Studies as well as Geography from the University of Livingstonia. In his free time, Geoff likes to watch and play soccer. Kelsey Nauta attended the University of Oregon where she graduated in International Studies with a minor in African Studies and a research focus in comparative development in Sub-Saharan Africa. After graduating, Kelsey taught English in China and Cambodia for two years and then joined the Peace Corps where she was posted to Malawi. During her Peace Corps service, she lead several projects including community reforestation efforts, girls’ and women’s empowerment programs as well as youth-specific projects while living in a rural village. Conversing in the Tumbuka language, Kelsey integrated into her local community and worked with traditional structures to implement programs. In her free time Kelsey likes hiking, swimming, and reading. Hope has a higher diploma in Business Management obtained from Lilongwe Technical College. He started working with D2D in June 2016. Hope is responsible for monitoring and carrying out the finances and accounting for D2D. Hope ensures that D2D policies and procedures are adhered to, and that financial transactions and records are in compliance with the approved accounting system. In his free time he enjoys watching movies and listening to music. Melness comes from the city of Mzuzu. She graduated from Miracle Technical College with a diploma in Community Development in June of 2017. In January that same year, she started an internship as a field officer for D2D. After her internship, she was asked to stay and work full-time with D2D. Currently, her main focus is Girls’ Empowerment, where she is striving to build confidence in the girls, help them to achieve success in their educations, and take control of their futures. 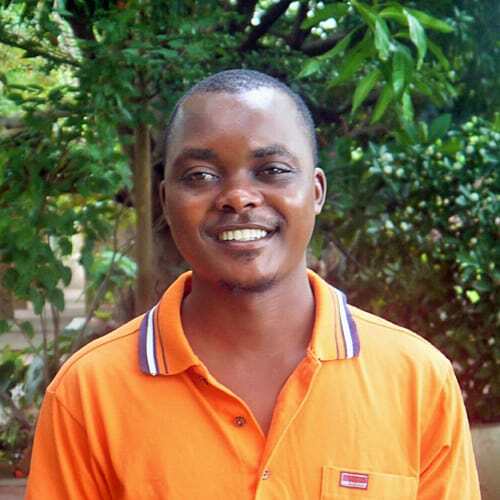 Owen is the most recent sponsored youth university graduate, completing his Bachelor’s degree at the University of Livingstonia, where he majored in Development Studies and minored in Human Rights. As Residential Youth Manager, Owen is in charge of running the on-campus residential home. He leads the residential youth, overseeing academic and personal development, and ensures adherence to policies and procedures. 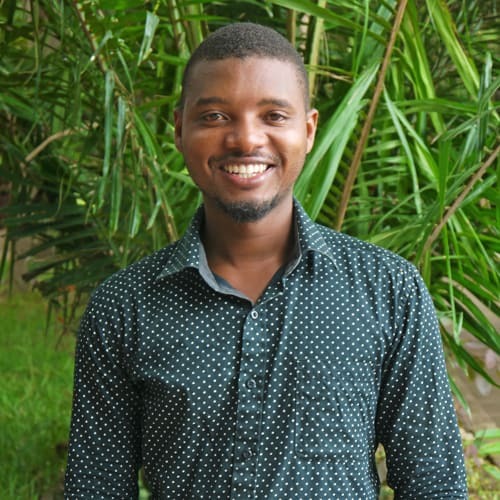 He previously worked with the Nkhata Bay District Council in the Social Welfare Department as an intern under a program called Malawi National Support, which focused on alleviating poverty in Malawi. During his free time he likes watching and performing boxing and reading novels. 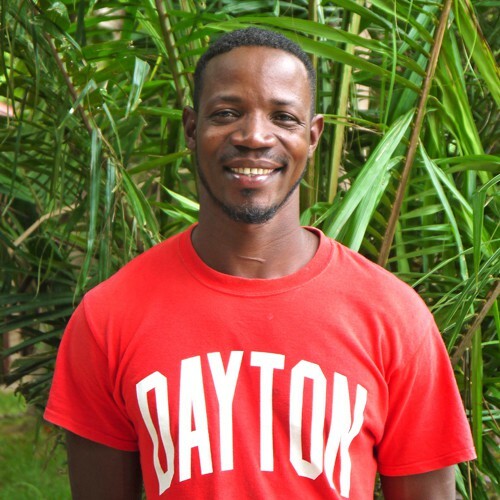 Frank has been with D2D since the organization began in 2010. He helped to lay the foundation and construct the infrastructure for the Maji Zuwa and what would eventually become the Determined to Develop campus. He enrolled in Livingstonia Technical College in 2015 and graduated with a certificate in Motor Vehicle Mechanics in 2017. He works now as D2S’s Operations Officer, overseeing construction projects, supporting operations, and continuing his work as the organization’s driver and mechanic. He enjoys fixing mechanical issues and feels the most proud once he is able to use his skills and technical work to complete a task. In his spare time he enjoys reading novels. Lauren is from Brighton, Michigan. She graduated this past spring with degrees in Human Rights Studies and Psychology from the University of Dayton. During her time at UD she was part of the Student Alumni Association and Amnesty International Club. In her free time she likes to do yoga, bake, read, paddle board, and play tennis. She joins D2D as Program Officer for one year, after which time she will return to the University of Dayton to complete a Master’s in Public Administration and will be a graduate assistant in UD’s Human Rights Center.